You guys. I’m so excited to finally share this recipe with you. 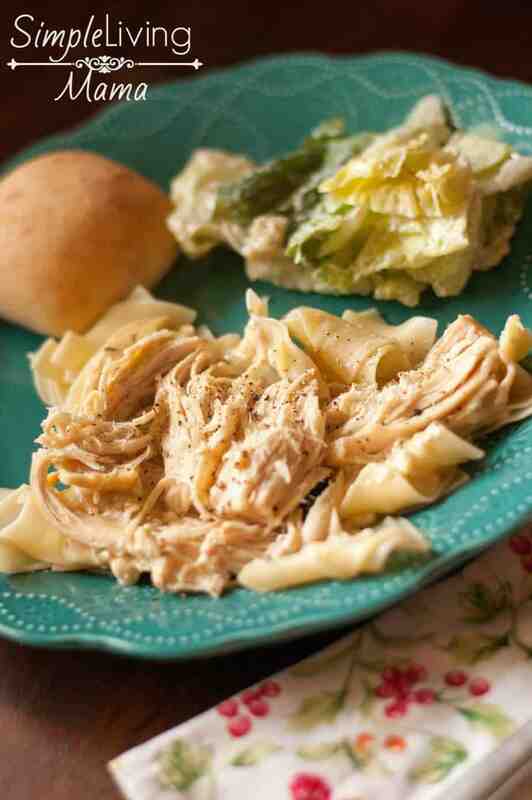 Crock pot creamy ranch chicken is hands-down my favorite slow cooker meal. 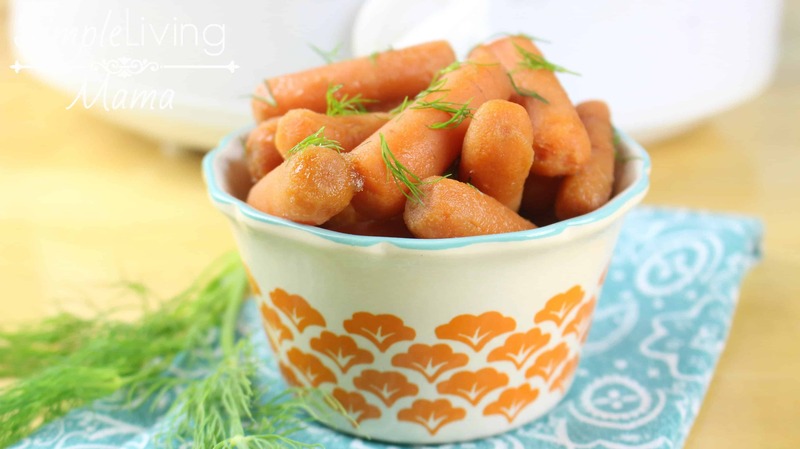 I’ve added this one to my permanent rotation of simple living recipes because it is so incredibly easy to prepare, and it tastes amazing. 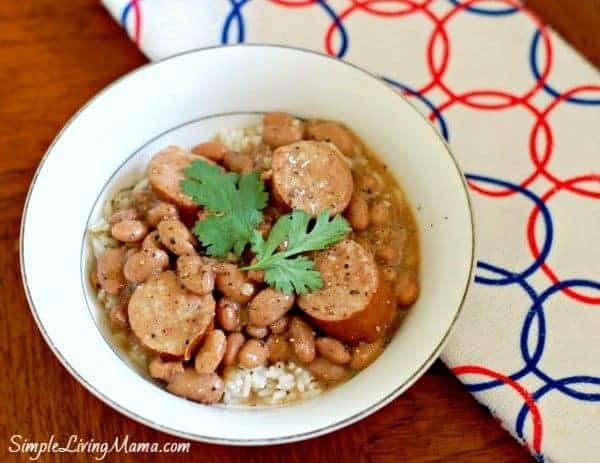 I always have the ingredients for this meal on hand and it is one of the first meals I have my husband make for me when I come home from the hospital. 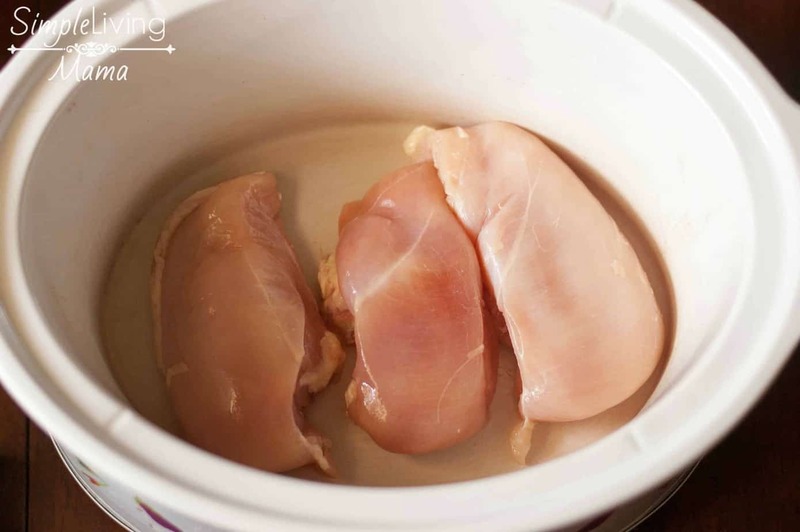 Spray your slow cooker with non-stick cooking spray and place the chicken breasts in the pot. 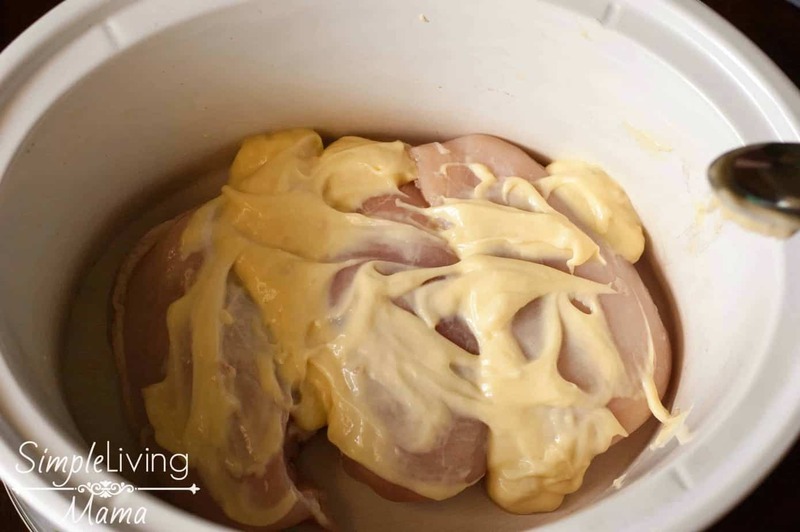 Pour the can of cream of chicken soup over the chicken breasts and spread with a spoon. Sprinkle the chicken breasts with the ranch seasoning. Cube the cream cheese and place on top of the chicken. 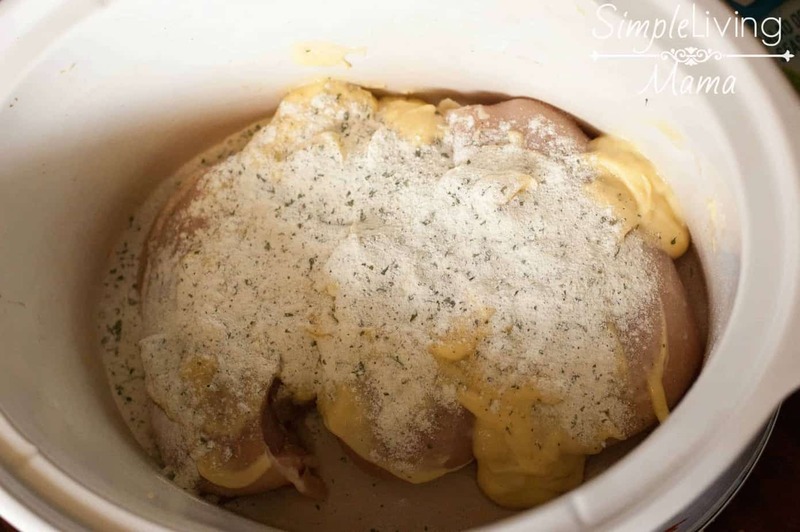 Cook on low for 4-6 hours, or until chicken is done and shreds easily. You can add a bit of chicken broth to thin the sauce if desired. I use a potato masher to break up the chicken and combine the sauce. The cream cheese will still be a bit chunky, but if you mix it all together really well, you can get it to blend. 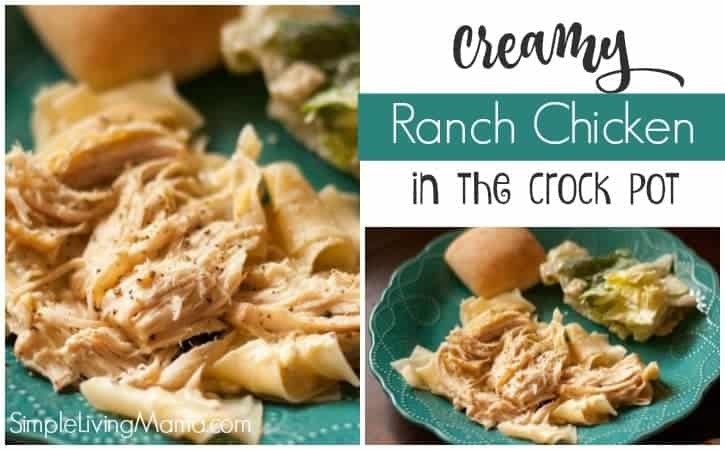 I always serve my creamy ranch chicken over egg noodles. It’s so good. You can also serve over rice if you desire. 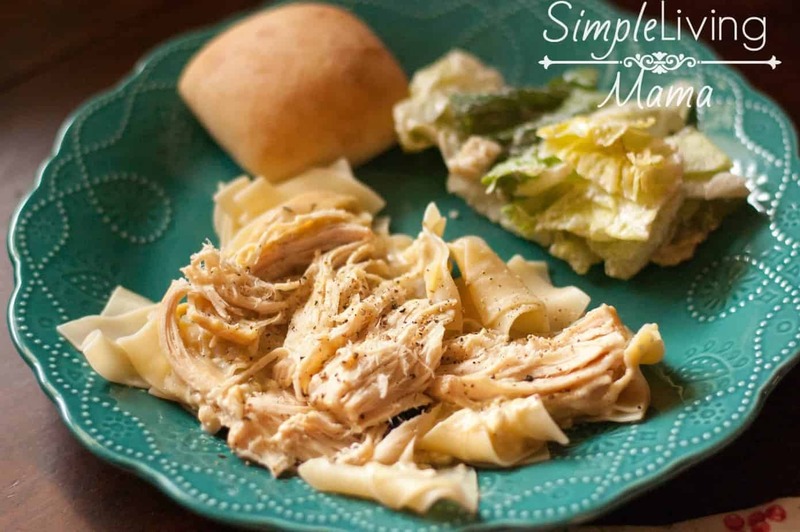 Add a side salad and a roll and you have an amazing dinner! The last few times we have had a baby, I have made sure to have these ingredients on hand so my husband could prepare this meal for me. 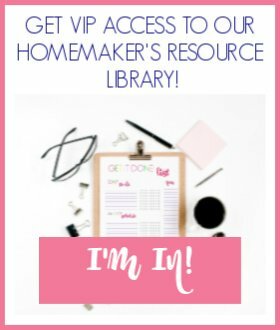 It’s so incredibly easy, and using the prepared ingredients makes it even simpler. 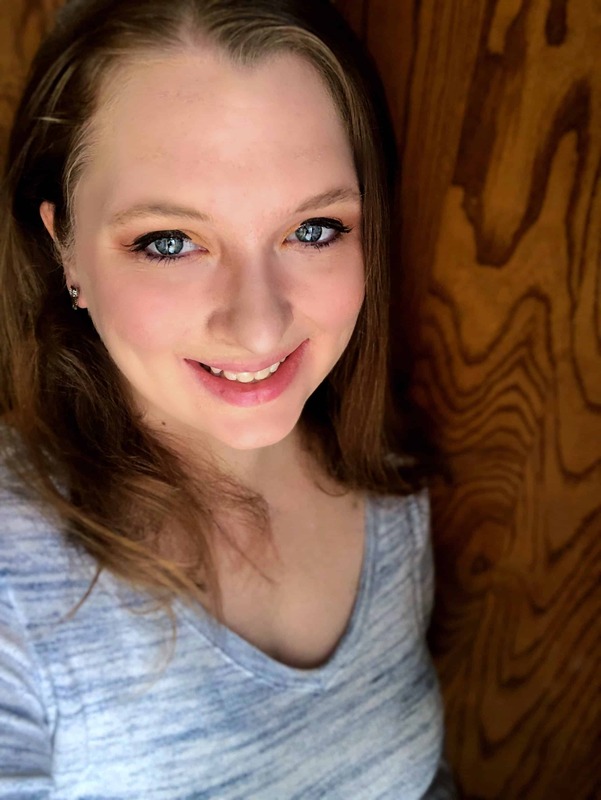 Of course, if you would rather make your own cream of chicken soup or ranch seasoning, you can do that, too! 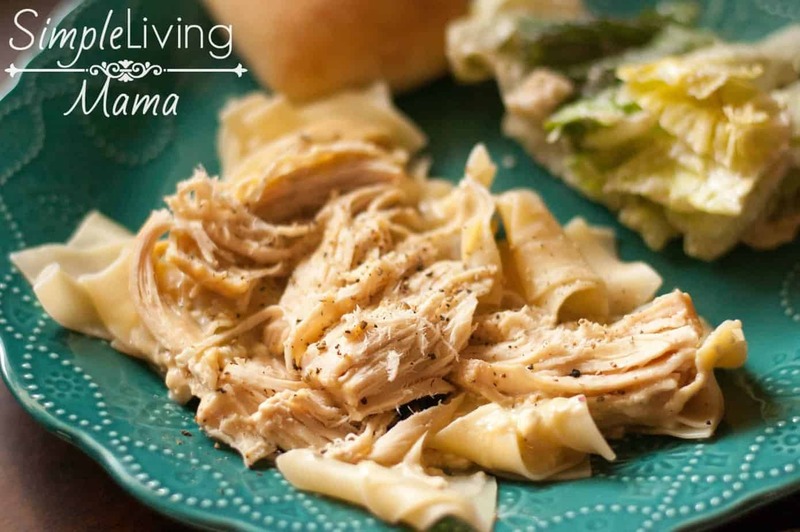 Caesar salad is a perfect accompaniment to this meal. I usually buy the Caesar salad kits to make this even easier. We have also had it with green beans, and that is a hit, too. Any yummy veggie side dish will do. 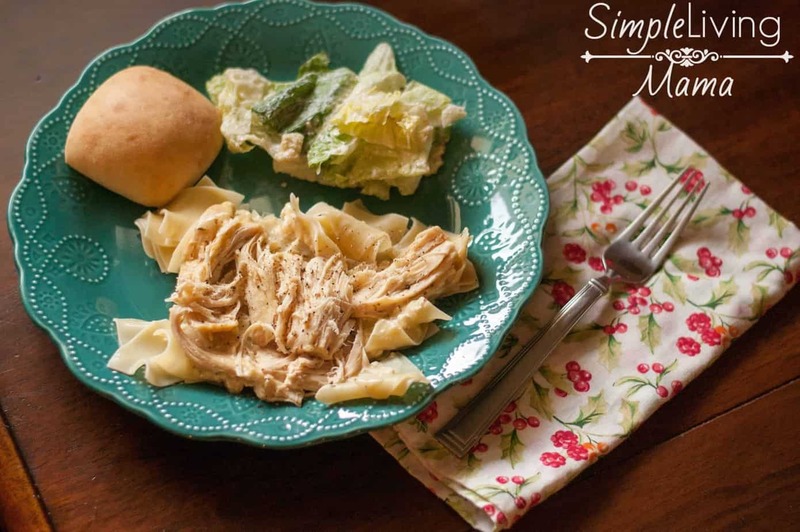 If you’re in the mood for a delicious crock pot meal, you’ve got to try this one! 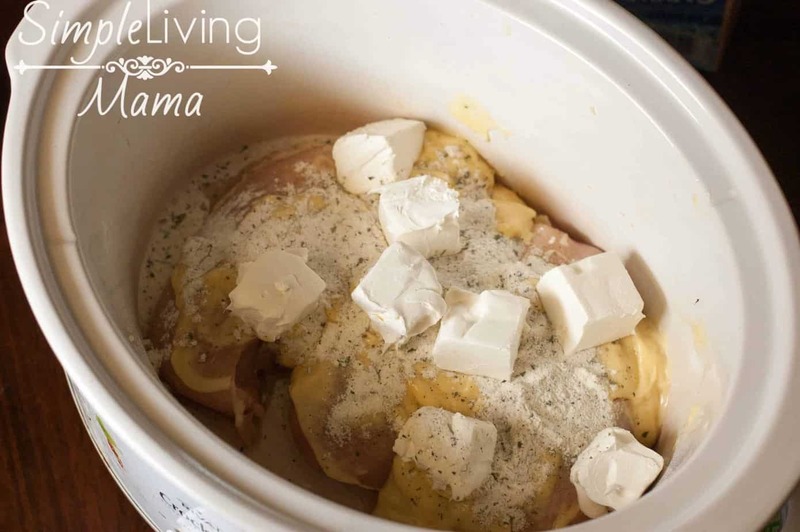 A delicious and easy chicken recipe made in the crock pot with ranch seasoning and cream cheese. Break up the chicken with a potato masher and blend the sauce together.